Stainless steel tread plate is the choice for flooring, panels, boxes, support brackets, machinery, outdoor decking, kitchens, ships, trains, trucks, food handling and preparation facilities, chemical and waster areas, ramps, trailers, industrial plants and meat processing plant This material is very corrosion resistant and will usually serve your needs for many years. 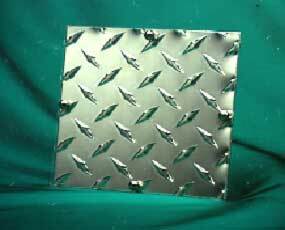 Stainless steel tread plate is available in several different tread patterns. 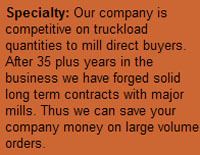 5000 pound minimum order. .125" to .375" x 48" to 60" x 96" to 192"